on everything trucks: What a sports car! A star at the Los Angeles Auto Show was the Mastretta MXT, launched to the Unites States market at the mid-November show. Not only is this pocket rocket a highly desirable car at a price promised to be very low for such a high-performance machine, but it is made just outside of Mexico City – the first ever Mexican designed and manufactured sports car. And what a sports car it is! The car is the inspiration of company president Carlos Mastretta and technical director Daniel Mastretta, and it is the first car from this design and development company of Mexican city buses. The MXT is based on very sound engineering that has been refined by several of the top manufacturers of high end sports and GT cars. Los Angeles was not the car’s first outing. The first concept was shown at the British motor show to wildly enthusiastic acclaim in 2008. Similarly in 2010, it was well received in Paris and since then the MXT has gone through a refining process. Now it is in production with the first 30 cars currently being delivered in Mexico. And, says Carlos Mastretta, while the car was designed to cope with Mexico’s roads and mountains, it is really intended for the much more sophisticated customers in the United States and Europe. The car is very sophisticated. Constructed of aluminum, steel and carbon fiber, it is incredibly light at a shade over 2,000 pounds. With a turbocharged, mid-mounted two-liter engine developing 250 horsepower, the car promises very good acceleration with a zero to 60 time of under five seconds and a top speed potential of 160 mph. At a target price of $60,000 to $65,000, it has the performance of cars costing four times as much. And it has just as much visual appeal as those supercars. The body was designed in the Mastretta plant and design center of Technoidea SAPI de CV, the parent company of Mastretta Cars. This Mexican design and engineering consulting firm based in the Mexico City area has more than 20 years experience in the transportation industry. It is very experienced in the design of large fiberglass panels for buses and brings that styling and manufacturing experience to the MXT’s 45 individual body parts that are bonded with aircraft adhesives to make up the purposeful, pugnacious, maybe even a little brutish sports car shown in Los Angeles. Underneath, the car is technically sophisticated with double wishbone suspension front and rear, and the four-cylinder Duratec-derived engine and five-speed transmission from the Ford Focus. However the 150 hp on the base engine is boosted to 250 hp using a turbo and charge-air-cooler installation engineered by a Southern California shop specializing in the technology. A stainless steel exhaust provides minimal restriction and is shaped and routed to allow for a small truck at the rear which could be persuaded to accommodate a couple of bags. The chassis is based on two extruded and curved beams that are the outer structural member for the cabin. At front and rear are steel sections that take the loads from the suspension and distribute them into semi-monocoque aluminum panels and the sandwich aluminum and carbon fiber floorpan. Adding to the car’s rigidity, a roll cage is integrated into the chassis design, though technical director Daniel Mastretta says the basic tub is so stiff, they could contemplate a convertible in the future. The engine and transmission sit in the steel cradle that supports the rear suspension. Up front is a radiator and air-conditioning condenser package engineered and manufactured by a supplier in Arizona. The huge disc brakes and big four-piston calipers are from the United Kingdom and should give the MXT braking to match the promised acceleration. Getting the 250 pound-feet of torque or the braking effort to the ground are ultra-high performance tires on 7.5 x 17 inch wheels. Looking at the show-stripped frame and running gear on display in Los Angeles, it was impossible not to think of the designs of the late Colin Chapman for his Lotus cars, where the high performance was always achieved from a relatively small displacement, highly tuned, yet fuel-efficient powertrain pushing along a very light car. The fuel economy of the MXT is thus likely to be in the range of 25 mpg, even with its considerable performance, meaning a low carbon footprint for those who care about such things. The seats are also carbon fiber, covered with soft leather, and the car will ship with a full multi-media sound system. Comfort is assured by a supple ride with no compromise in handling due to the light weight of the car, says Daniel Mastretta. And the fine tuning of the suspension by the race and supercar consulting firms means a 1.1-g lateral acceleration with a very controllable breakaway at the limit. MXT production is starting with a low rate of four cars a month, ramping up to eight a month or around a hundred a year by mid-2012. It will most likely sell by reputation, since it will offer terrific performance at a relative inexpensive price. The company wants to build a race car to help promote the MXT and predicts development could be completed by mid-2012 with a prototype in the second half of the year. Engineered to European design requirements, the MXT meets 40 or more design and crash test criteria and is fully road legal in Europe. However, U.S. regulations are different so the car will be built as a Specially Constructed Vehicle. This means it will be built and finished completely in the factory but shipped without engine and transmission. Customers must purchase them separately from Mastretta, and either install them or more likely, have a dealer complete the install. Chief engineer Mastretta says the task is not difficult as the chassis is designed to make the process as easy as possible, and all the hookups are in place once the powertrain is in and bolted up. Again, it is mindful of Chapman’s Lotus 7. Customers for that car got a kit of parts to assemble into the car, which was a far more demanding task than just dropping in the engine and transmission. Carlos Mastretta says his company waited till the right moment to introduce the MXT, both to gain swift market acceptance and to have sufficient financial resources to assure steady production. He thinks it unlikely the company will be profitable for several years due to the competitive pricing of the MXT and the relatively low initial production. But as this ramps up that will change. Mastretta says the car company is in it for the long haul and has plans down the road to introduce a bigger sports car. 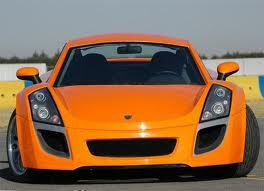 For the moment, the MXT will be Mastretta’s claim to fame. Can't wait to get my hands on the car to see how it delivers on that claim. This is a very sophisticated car indeed. I like the exterior design of the car. The color also mesmerized me. My friend has a sports car as well, and he always makes sure to check the brakes every time he goes on a raise or just a vacation trip. It's a good practice that will surely make the travel safe. the mxt is probably the most unappealing, aesthically-speaking, sports cars i have ever seen! Not only is it not pleasant on the eyes to look at, i can only imagine how much auto parts are going to costs, regardless of the auto part discounts you'll get. This is an extraordinary article it looks so fresh and genuine it does really boost me genius writing i would love to read your new post. A reliable car removal company will always have contacts as phone number and email indicated in the directory or in the website. It is also good to know if they are certified or not. Also remember that in Narc that auto one acquires a commission for each of the individual tags that are gone into the framework, and in addition the tags enter by your group and furthermore it doesn't make a difference on the off chance that one of your kin composes tags that you composed some time recently. I am first time here; this is very nice and gives in depth information. I will definitely come back to more times in this year for submit more post. Keep trying to make best.Great Thanks! When we talk about car shipping, we immediately associate it with the trains. Car shipping by train is useful because of its capacity to transport heavy and massive things all over the world. Moreover, it is very affordable. Your write more informative and so nice. Great articale. user can gets help form here. you can also write for kick scooter. After you upgrade a computer or device to Windows 10, certain Garmin wearable devices may not work as expected when they're connected to a USB port. If you are facing any technical issue with any of your Adobe Product, then the best you can do is to talk 1-855-272-4602 the Adobe expert and to get from them a call or an email assistance as per your issues. Computerized advertising moves at a startling rate. Regularly the best way to keep up is to continue perusing. However, with such a significant number of advanced promoting online journals out there that it can be difficult to recognize the helpful peruses and the computerized advertising weeds. Microsoft Office is one of the easy and the most reliable software. If you are looking for any technical support for Microsoft products. Feel free to contact Microsoft support phone number 1-800-279-1380 24*7. Contact AOL Email Support Phone Number for quick technical help against all sorts of AOL email errors, so if you are faceting any sort error while using your AOL mail account then just give us a call at AOL Email Technical Support Phone Number and get one call solution for all sorts of errors. Thank you for a wonderful job and for the results we were looking for!I would totally recommend them!Truly a wonderful way to boost your homes curb appeal without breaking the bank. "House looks really beautifull. Mirror, mirror on the truck . . .